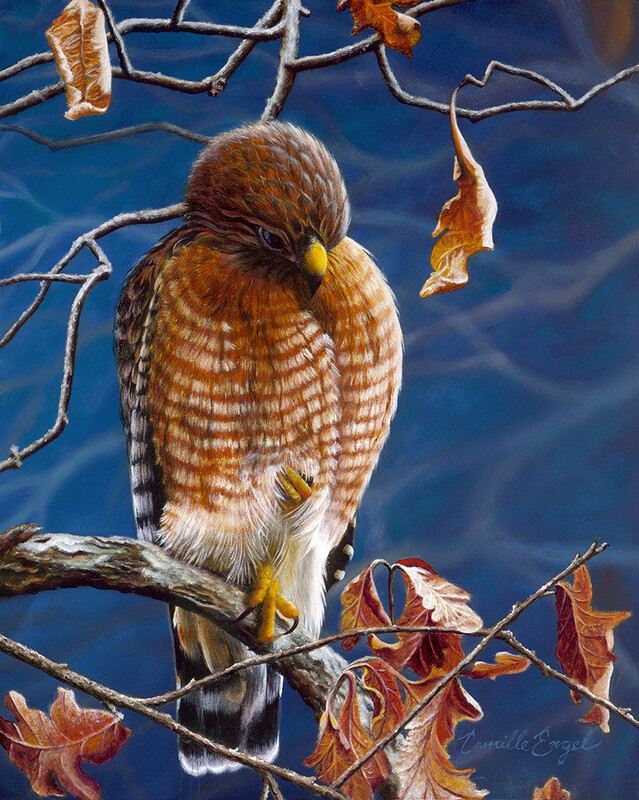 A Red-Shouldered Hawk in autumn perched on a branch with autumn leaves and dark blue sky background. PROVENANCE: • 2016 — Southwest Art magazine "Women in Art" August 2016. • 2014 — Gilcrease Art Museum "Collectors Reserve 2014", Tulsa, OK. • Lower branch and autumn leaves added 2018.